(TibetanReview.net, Feb01’19) – A collective of 37 human rights NGOs have on Jan 30 called on the UN Human Rights Council, Geneva, to pass a resolution at its upcoming session “expressing collective concern about worsening rights abuse in China and the government’s failure to follow through on its obligations and commitments.” The 47-member council opens its 40th session on Feb 25. The global community has heard reports of mass detention centers where ethnic Uighurs and other minorities are held in the western Chinese region of Xinjiang, and serious abuses against Tibetans, human rights lawyers and civil rights activists, the groups said in their open letter. The letter, whose signatories included Tibet NGOs such as Washington-based International Campaign for Tibet and London-based Free Tibet, points out that the UN had issued at least two reviews and a number of expert comments last year, calling Xinjiang a “no-rights zone” for Muslim minorities and urging Beijing to respect minority rights. And it added that China had continued to “suppress dissent and undermine efforts to hold it accountable to its obligations under international agreements”. The letter urges member states to demand “prompt, unfettered and independent access” to the PRC by independent human rights experts and journalists, particularly in Xinjiang, Tibet and other minority regions. It also calls for an end to abuses against human rights defenders under the pretext of national security and the immediate release of all people held in unlawful detention. 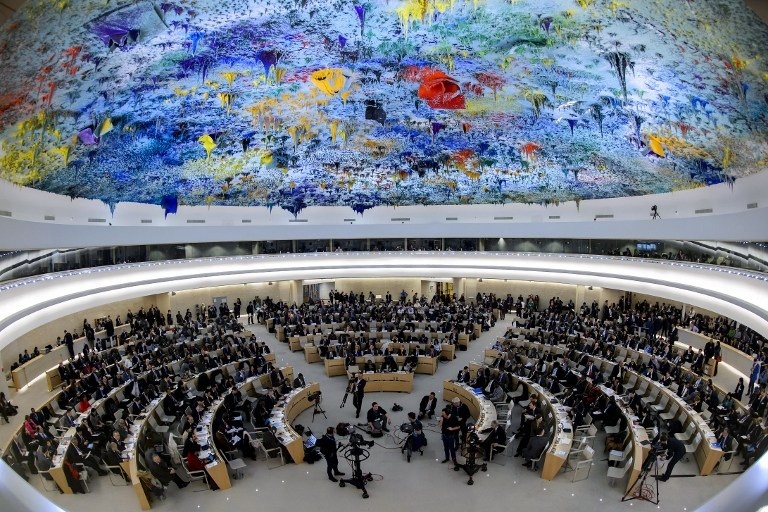 A resolution is possibly the strongest measure the Human Rights Council could take. It has recently adopted resolutions against Yemen, Myanmar and Venezuela. The last time the council members took any concerted action against China was in 2016, when 16 member states issued a joint statement voicing concern over deteriorating human rights in the country, namely the arrest and detention of activists and the disappearance of Chinese and foreign citizens outside mainland China, following the abduction of booksellers in Hong Kong and Thailand. However, there has been no council action as such. China is among the 13 members representing the Asia-Pacific region in the council while the US withdrew from it at the direction of President Donald Trump who accused it of anti-Israel bias. China claims that human rights is all about adequate living conditions and points to the number of people it had raised out of poverty. And when criticized on civil and political rights issues, it claims exception on the basis of difference in national conditions while accusing those raising it of interfering in the country’s internal affairs.